This album is nothing less than fresh! LMNO and Mums compliment each other perfectly! 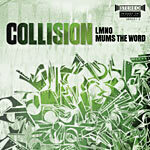 LMNO has the dopest flows over Mums beats and they got some real nice chemistry here on this one! Peep it!